София (Sofia, Bulgaria) - Паметник на Съветската армия (Monument to the Soviet Army) | Flickr - Photo Sharing! Dedicated to the Soviet Red Army it was built in 1954; nowadays this monument is the heart of a great debate. 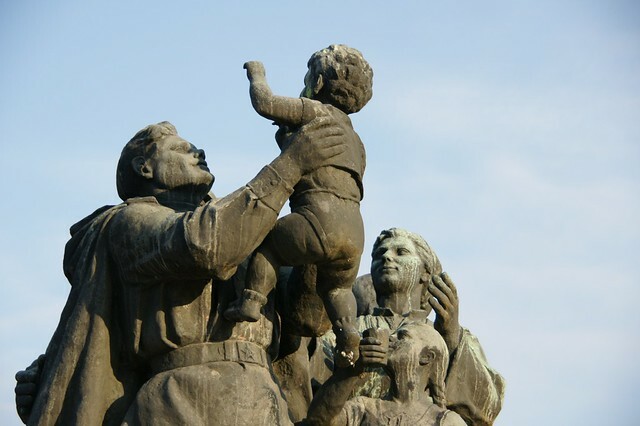 In his defense it is argued that the monument symbolizes respect for the contribution of the Red Army in the victory of Allied forces over Nazi Germany during World War II , while opponents emphasize the role of Soviet troops in the country forcing the imposition of a communist totalitarian Soviet-style regime. I hope they don't destroy this statue.